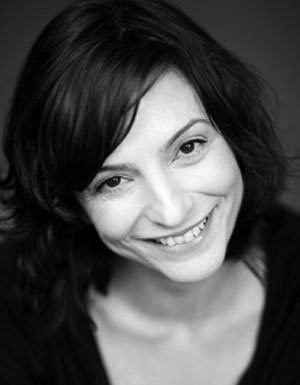 Etta trained at London Contemporary Dance School and is Associate Artistic Director for Matthew Bourne’s New Adventures and is a founder member of the Company, leading the educational arm of the company, Re:Bourne. She has created roles for Matthew’s Adventures in motion Pictures (AMP) between 1992 and 2002 and became Assistant Artistic Director in 1995. Stage credits as associate director and performer for AMP / New Adventures include: Sleeping Beauty, Cinderella (Sadlers Wells 2010 & Original London and LA productions), Dorian Gray, Edward Scissorhands, Nutcracker! And was also Clara in the original production (Opera North and Sadler’s Wells), The Car Man, original production of Swan Lake (Sadler’s Wells, West End, LA & Broadway), The Infernal Galon, The Percy’s of Fitzrovia, Deadly Serious and Town & Country. Etta is also an Associate Artist of Kneehigh Theatre Company; Founder member & dancer with Images Dance Theatre; Scottish Dance Theatre; Arc Dance Company; and created the role of Netta in This is the Picture with Aletta Collins Dance Company for Dance Umbrella. She also teaches throughout the UK and abroad for dance companies and dance institutions, as well as being a freelance faculty member of the London Contemporary Dance School and Young Place.